Nine years after Microsoft launched Xbox Live, and five years after Sony launched the Playstation Network, Nintendo announced that it’s building its own online service, called the Nintendo Network. As Mashable reports, the Nintendo Network will offer the requisite connected console fare, including user accounts, online multiplayer, downloadable add-ons and eventually full game downloads. Although Nintendo’s Wii and 3DS can already connect to the Internet for downloadable games, online play and a couple of streaming video apps, the company’s online services are limited compared to what Microsoft and Sony offer. Nintendo doesn’t currently sell add-ons for existing games, offer system-wide voice support or even allow players to choose an online nickname that other players can easily look up. 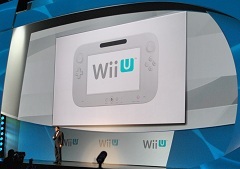 Wii U App Store Rumored, But Will It Really Be an App Store? When Nintendo’s Wii U launches next year, it’ll have a “full-blown app store,” The Daily’s Matt Hickey reports, citing an unnamed source. Or will it? As Hickey notes, Nintendo already offers app repositories through the Wii Shop and DSi Shop. The difference with the Wii U is that it’ll offer a wider variety of apps, beyond games and basic utilities. But breadth of apps is not the best metric for a real app store, unless your definition is simply “a place to buy apps.” The way I see it, a true app store goes further by opening its doors to any developer. Whether there’s an approval process (a la iOS) or not (a la Android) doesn’t matter. What’s important is that anyone who knows how to code can contribute, so that the app selection grows in unexpected ways. You won’t find any great app stores that don’t allow this kind of outside development. From Hickey’s report, I can’t tell whether Nintendo will open its app store to all developers, and I have my doubts. Game consoles are notoriously closed off to all but a select group of publishers. Microsoft’s Xbox 360 is the only system that comes close to allowing outside development, through Xbox Live Indie Games, and even those apps are relegated to the darkest corners of the Xbox Marketplace. So while I don’t doubt that the Wii U will have a wider selection of apps than Nintendo’s other systems–Hickey mentions MLB.TV and social networks as possibilities–I’m skeptical that Nintendo will let any developer run wild with the Wii U’s crazy multi-screen technology. But I hope to be proven wrong. Place Your Bets: Will Nintendo 3DS Dual Thumbsticks Take Off? One thumbstick is rarely enough when you’re playing modern video games, so Nintendo’s 3DS is giving gamers a second stick via a $20 peripheral. The Circle Pad Pro, which launched in Japan this month, is coming to the United States on February 7. The attachment snaps in around the base of the Nintendo 3DS, and includes an extra shoulder button as well. It requires a AAA battery to operate. Here’s the issue: Existing games won’t work with the Circle Pad Pro, and developers will have to design future games to support dual sticks. So far, Metal Gear Solid: Snake Eater 3D and Resident Evil: Revelations are on the roster of supported games. 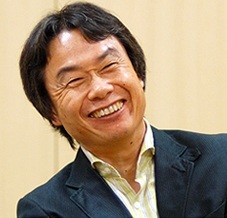 Shigeru Miyamoto, Nintendo’s legendary game designer behind Super Mario Bros. and The Legend of Zelda, said he’s stepping down from large-scale projects. Speaking to Wired’s Chris Kohler, Miyamoto said he wants to work on smaller games and leave the major blockbusters to younger developers. He is not retiring, but sometimes says otherwise to his co-workers. Something’s brewing at Nintendo headquarters. According to Gamasutra, the company is planning a news conference in Tokyo on September 13, with only one topic of discussion: the future of the Nintendo 3DS. Nintendo’s newest handheld device had a troubled launch, with slower sales than expected. That prompted Nintendo to drop the 3DS price from $250 to $170 earlier this month. In a letter to early adopters, Nintendo said it had to cut the price to boost sales, ensuring that publishers would support the new hardware. Now, Nintendo is rumored to be planning even bigger changes. 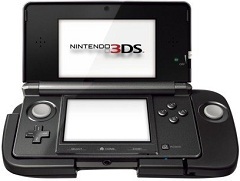 French site 01net reports that Nintendo may redesign the 3DS with a second analog stick and a reduced emphasis on glasses-free 3D. This model would launch under a new name in 2012, the site’s unnamed sources said. Nintendo plans to launch a slimmer Wii console in Europe that drops compatibility for Gamecube games and accessories, but it’s not coming to the United States — at least for now. The Wii redesign will arrive this holiday season, bundled with Wii Sports, Wii Party, a Wii Remote Plus controller and a Nunchuk attachment. The console is designed to sit horizontally, and trims away the controller ports and memory card slots that supported Nintendo’s old Gamecube console. Nintendo will discontinue the old console design in Europe. How bad are things for Nintendo? Well, a Bloomberg story that circulated last week reportedly had investors clamoring for the Kyoto-based gaming giant to start porting its legendary characters over to Apple’s iOS devices. Super Mario Bros on the iPhone? Metroid on the iPad? Sounds too good to be true, right? Turns out it was. The report took a few Mario-esque giant leaps of logic; most egregiously, the one making it seem like any investors said anything resembling the idea that Nintendo should make games for the iPhone. But still, there’s a reason that the idea of a Nintendo-Apple team up is so appealing. Frankly, Nintendo’s magic hold on gamers’ imaginations seem to be slipping. The most significant sign is the under-performance of the 3DS, which necessitated a massive price drop for the handheld. Some of the company’s most anticipated recent titles–last year’s Metroid: Other M and this year’s 3DS re-issue of The Legend of Zelda: Ocarina of Time–got mixed receptions when they finally came out. And if Nintendo can’t bank on its key franchises for guaranteed hits, where else can they go? Well, they could always go to platforms where those franchises don’t yet have presences, right? It’d be great if Apple’s expertise at user experience design could mate with Nintendo’s whimsical style of game creation in some meaningful way. If you haven’t snatched up a 3DS yet (if not, we wouldn’t blame you, given the dearth of interesting games) Nintendo’s sweetening its upcoming price drop with a ‘Flame Red’ version. If red’s your thing—as opposed to “Aqua Blue” and “Cosmo Black”—Nintendo says it plans to offer the alternative color from September 9th, shortly after the handheld’s price plummets from $250 to $170 this month. Except wait a second, isn’t that supposed to happen this Friday, August 12th? That’s what Nintendo’s said, you know, all official-like. Donkey Kong: Thirty Strange Years! What’s the most significant arcade game of all time? Pac-Man, probably. But you could also make the case for Donkey Kong–a game that celebrates its thirtieth anniversary this month. It was wildly popular in its day. It remains iconic. And it was the breakout hit that put both Nintendo and Mario on the map–a team-up of game company and character that’s as important today as ever. And then there are all the weird little Donkey Kong footnotes. Such as the fact it was almost about Popeye and Bluto. And the odd spinoffs (Donkey Kong hockey?). Gaming historian Benj Edwards has rounded up a bunch of them for Donkey Kong Oddities, our tribute to video gaming’s greatest ape. Thirty years ago this month, Nintendo released Donkey Kong to arcades across the United States. The game’s American version went on to sell tens of thousands of units, saving the then-struggling US branch of the company and paving the way for Nintendo’s future success on Western shores. Without Donkey Kong, we would have no Mario, and without Mario, it’s hard to imagine what Nintendo would look like today. That makes Donkey Kong, above all others, the most pivotally important video game Nintendo has ever released. So it’s time to celebrate–which I did by rounding up a bunch of weird, odd, and interesting stuff about this beloved game.